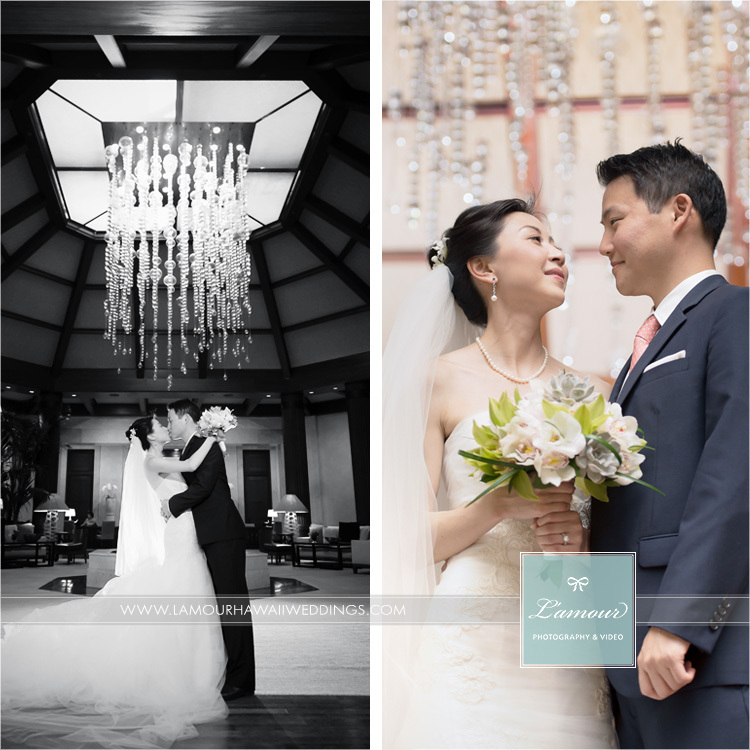 With many of our brides coming from all over the country and the world, Eric and I often get questions for referrals for anything and everything wedding related. 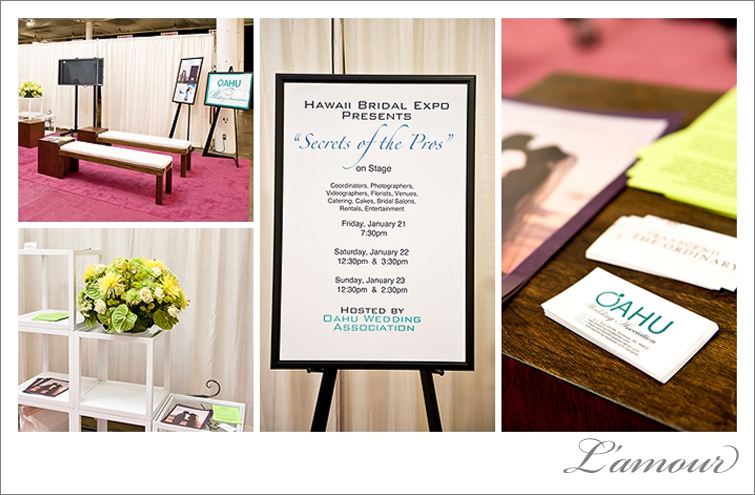 With our growing family in the Oahu Wedding Association, we are in abundance of wonderful Hawaii wedding connections. One of our newest friends is from Island Treats Creations. Eric and I had the pleasure of going behind the scenes to the workshop of Island Treats Creations where all of the magic happens. Merryl is the owner and is the sweetest person to work with! She showed us around and let us sample their delicious cookies and chips that she offers for her baskets. Let me just say, oh my gosh, they are so delicious. Eric and I munched on some Taro Chips and Coconut Cookies during our sunrise fashion photo shoot this week. 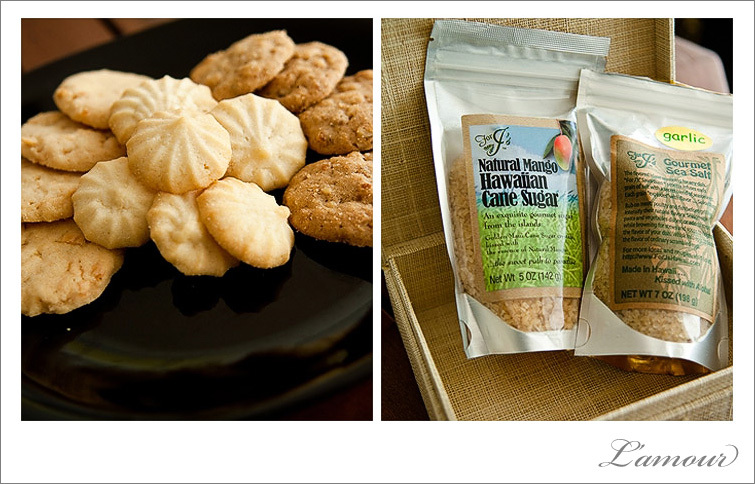 Island Treats Creations is located in Kailua on Oahu and is a must stop shop for Hawaiian cookies, candies, chips and gifts. Check out their website or stop by the store to see their many options for wedding favors, gift baskets, and treats! 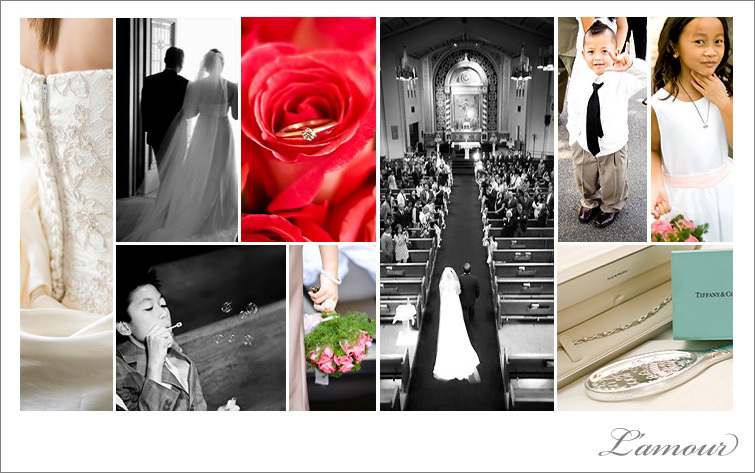 L’Amour Photography is on Facebook!